Pepe Diokno's second feature, takes his filmmaking into a whole new other direction than his debut, "Clash. ", in a much more mature and subtle approach towards a radically different topic. The film took three years to be completed and was produced with the support of France's Aide aux cinemas du monde, South Korea's Asian Cinema Fund, Switzerland's Visions Sud Est and the Arte Prize from the 2012 Berlin International Film Festival. 15-year old Andy witnesses a tragic loss as his parents die in a flood in Manila, while he was away with his girlfriend. Being underage, he ends up with his estranged grandfather, in a smaller city in the Philippines. Andy is obviously traumatized by the events, and his slob, strict and with a rock-star physique (imagine a Philippino edition of Mick Jagger, since Pepe Smith is actually an icon of original Filipino rock music or "Pinoy rock".) grandfather does not do much to better his situation. The same applies to his rundown house, that seems to have little room for Andy, as it is filled up with boxes of photographs, since his grandfather used to work as one. Eventually, and after a fallout between them, the grandfather decides to take him to the mountains, in a secluded area filled with trees, rivers and caves, in order for them to bond, as he used to visit the place with Andy's father. The excursion does not start well, but through a series of events, the old man manages to get under the boys skin. 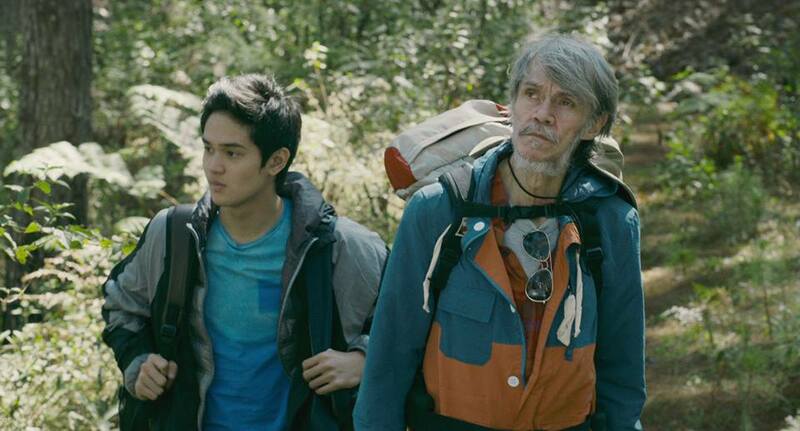 Pepe Diokno directs and pens a low-density film, which focuses on the characters as much as on the beauty of mountainous Philippines, a completely different setting than the overcrowded Manila. Diokno focuses on two subjects. The generation gap, particularly due to the spread of technology in the current generation, and grief, particularly the way young people deal with it. The first subject is presented through Andy, who listens to music or sends messages to his girlfriend with his phone constantly, in essence alienating those around him. The previous generation's frustration over this tendency is elaborately portrayed in a scene where the grandfather throws Andy's phone in the river, outraged by his grandson's attitude. The fact that their bonding begins a bit after this action presents Diokno's take on the subject. The second subject is also presented through Andy, who is deeply sad, but does not know how to externalize it and becomes more and more frustrated. There are two scenes where he finally lets out, one when he is alone in cave during the night, and one during a fight with his grandfather, that capture his mentality to perfection. These two scenes also highlight the acting in the film, which is on a very high level. Ruru Madrid as Andy gives a wonderful performance in a very difficult role that demands of him to present his frustration in very subtle tones, just with his eyes and body stance. This tactic makes his outbursts even more impressive. Pepe Smith is also great as the grandfather, who cannot contain his rage, as his efforts to connect with his grandson prove futile. In a very rock scene, which manages to portray a very subtle sense of comedy, Andy loses all their provisions and almost drowns, but his grandfahther is equally mad because the boy also lost his cigarettes. Pepe Diokno said about this film that it is his "love letter to the Philippines" and the technical aspect of the film definitely justifies this statement. Shot at Mount Pulag National Park on the island of Luzon, and with Carlo Mendoza's portraying wonderful and impressive images of rural Philippines, "Above the Clouds" becomes a very beautiful spectacle, as many of them seem like postcards. Diokno's take on nature becomes quite evident in the movie, since it is presented as the way for people to come together, away from the crowds and technology. Through these images and the depiction of the duo's interaction with nature, Dioko avoids the reef of letting the film become another cliché about the clash of generations. Lawrence Ang and Gisèle Rapp-Meichler's editing retains the subtle, but not so slow pace of the film, and the same applies to Carlo Mendoza's music. 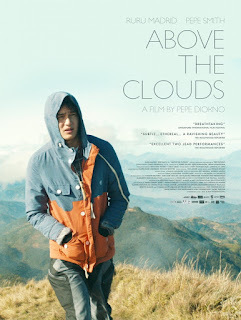 "Above the Clouds" is a very beautiful film, which manages to present its themes with artistry and entertainment.